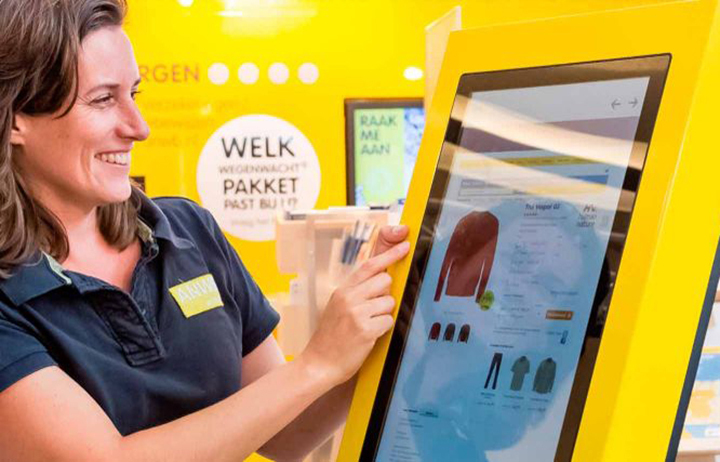 Bring your webshop in-store with a self-service ordering kiosk. So you can always give your customers the best possible service. No waiting time, and all products ordered easily and quickly: we make it really easy for your customers! Easily create extra points of sale, and stop your customers from going to the competitor. Generate more turnover and throughput too? Satisfied customers and employees? Never have to say NO again? Contact us for non-binding advice or an appropriate offer. 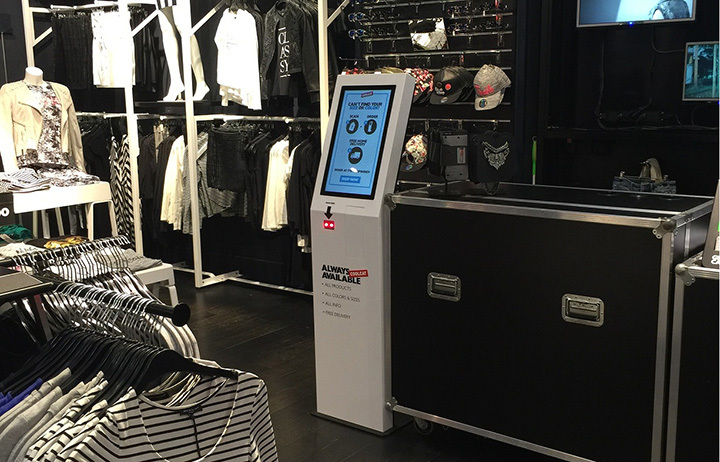 An ordering kiosk gives you an extra point of sale without having to deploy additional staff. It also means you can make your full online product range and options available in-store. So your customers can always find all product information, and your outlet continues to be a destination store for your customers by offering an additional, enhanced customer experience. 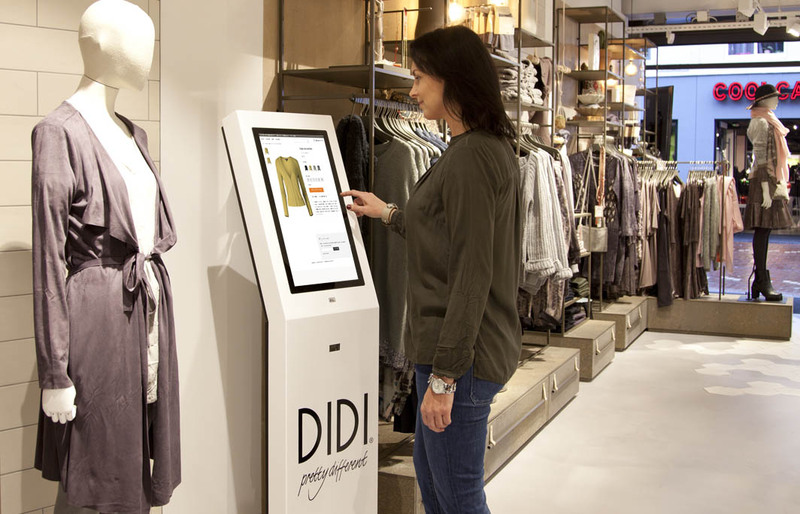 Whether you want to still be able to supply a physically sold-out article in your store, or offer your customers a quick and efficient way of ordering in your restaurant, or introduce a self-scan-and-go payment kiosk in your supermarket: diz is your ideal partner. Integrated additional hardware such as a bar code scanner, receipt printer etc. Integrated webshop platforms such as Magento, Woocommerce etc. 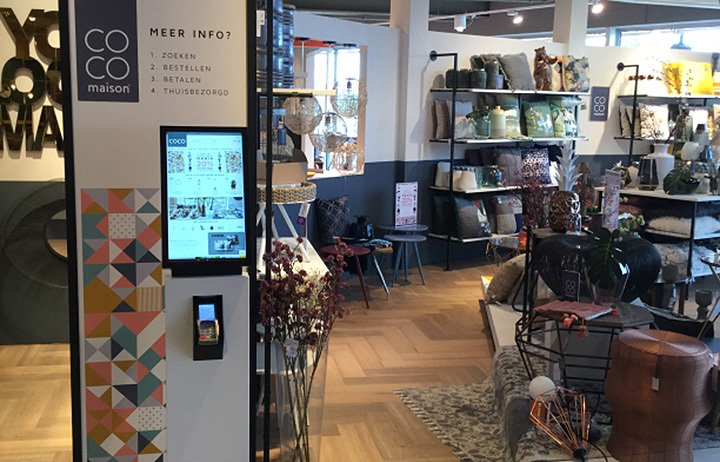 A complete solution linked to your webshop? Or your own solution with your web developer and payment provider? 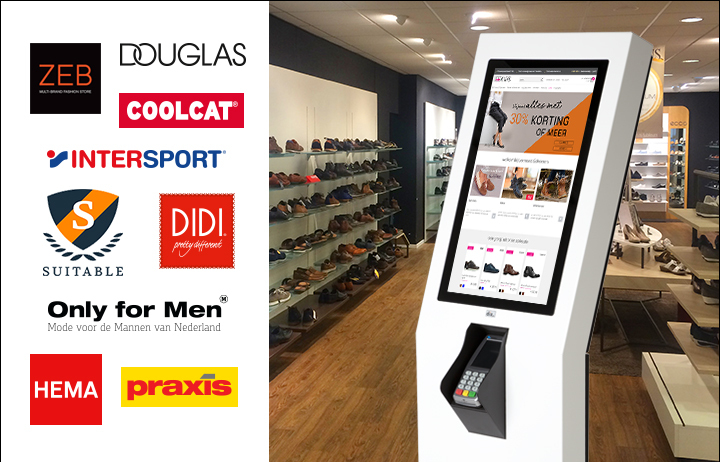 You can find our solutions in all Parfumerie Douglas stores, Didi Fashion, CoolCat, Only for Men, Hema and many more. You can see many more projects in our references. With our extensive experience we can give you personalised advice. Because we’re the manufacturer we can easily construct your ordering kiosks in your own house style. Pilot or test kiosks are also possible. 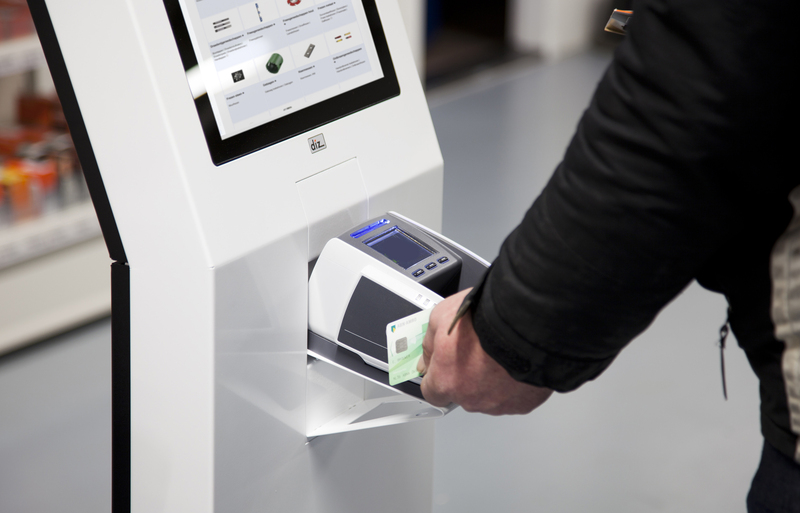 See a selection of our ordering kiosk models in our model overview. 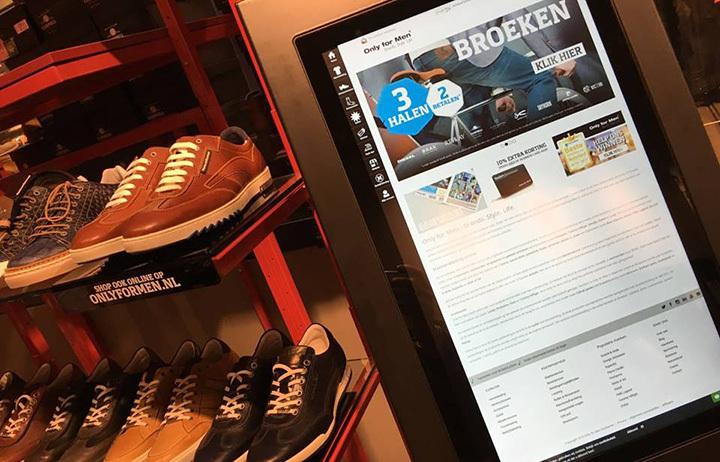 See the Intersport Twinsport video about their webshop kiosks below. Discover the many benefits of our digital solutions; contact us. We’ll be happy to learn about your requirements and we’ll make you the very best offer!